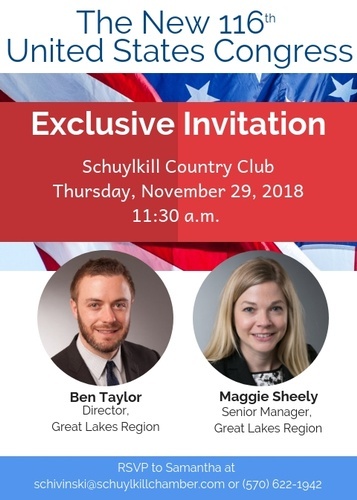 The Leadership Council Luncheon is an exclusive event held for Visionary and Premier members of the Schuylkill Chamber of Commerce. To RSVP for this event, please contact Samantha Chivinski at schivinski@schuylkillchamber.com or 570-622-1942. Visionary members receive two complimentary seats at this event. Premier members receive one complimentary seat at this event.